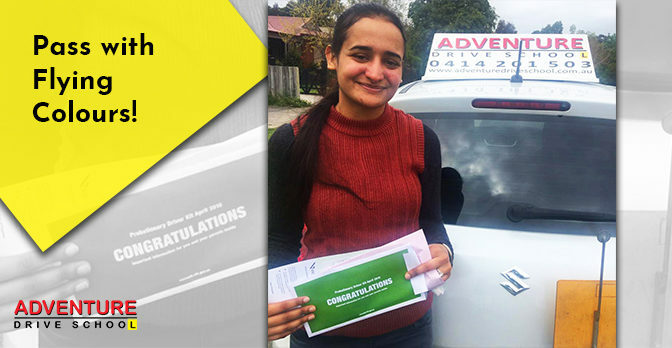 Are you all set to excel in your driving test? Well, there is nothing to be afraid of in terms of delivering what you have learnt in your driving school for a quality time. However, the nerves may be a bit unstable, and for that, you need to be smart during the test so that your examiner doesn’t get a hint of it. It is not that nerve-wracking as you may think. There are certain practices that you should adopt right from the beginning of your lessons. The instructors working with our driving schools in Carrum Downs will undoubtedly make you familiar with the traffic and driving rules that you follow while you are giving your test or on the road. However, you also need some insider tips too for making it difficult for the examiners to find your faults. Take a look at the following to get some ideas regarding these hacks can be termed as ‘street smart’ hacks. It certainly does not come in the driving rule, but it’s like emphasising the fact in front of the examiner that you are checking everything. When you are checking out the blind spots, potholes or about to park your car at the parking lot, say the word ‘check’ as if you are telling it to yourself. Well, your examiner will undoubtedly make a note of it and hand over the passing slip considering you as a good driver. How efficiently you can deal with emergencies is one of the most crucial factors based on which you are being handed over the passing slip. To emphasise on the fact that you know the difference clearly, you can do one thing. When the time comes for a jam brake test, make sure you push the brake a bit hard that you don’t really do with your regular brake. Again, your examiner will take a note of your actions for emergencies. Keep an Eye on the Mirrors – ALWAYS! Well, you may skip looking at the mirror a time or two while on the road, but during the driving test, you should always keep an eye on the side mirror and rear mirror. It is almost mandatory for the driver to check the mirror while changing the lanes. But, for the driving test, you are meant to do it more frequently and make sure your tester does not miss it. If you believe that slow but steady wins the race, let us tell you that it does not always happen during the driving tests. As per the qualified instructors offering cheap driving lessons in Clyde, moving extremely slow for no reason can turn out to be a negative approach to your examiner as going slow is one of the reasons for an unwanted road crash. And, also it poses difficulty to other drivers on the road too. So, be careful about the fact and stick to the standard speed limit according to the situations. Have a good night’s rest before the test day. Tell yourself that you know everything needed for the test and say bye to all sorts of distractions (mobile and headphones in particular) while the test is going on – there is nothing that can come in between your success in the driving test. Book your lessons today with Adventure Drive School as per your preferred package and prepare yourself well.